Dig up rock and dig up clay! 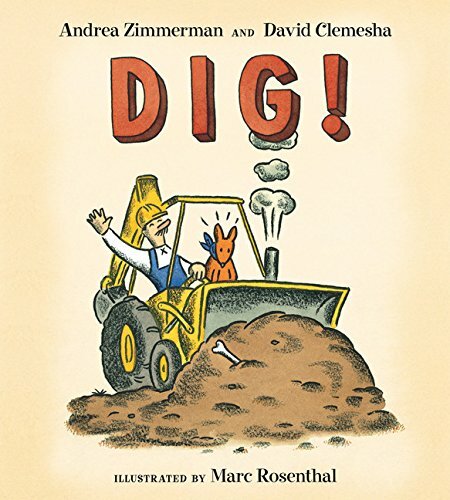 Dig up dirt and dig all day! Mr. Rally and his faithful dog, Lightning, have a busy day ahead of them, but they don’t mind. What could be more fun than using a big yellow backhoe to build a pool at the school and a drain for the rain? Follow Mr. Rally through his day as he travels around town, counting from one to five in an irresistible refrain. 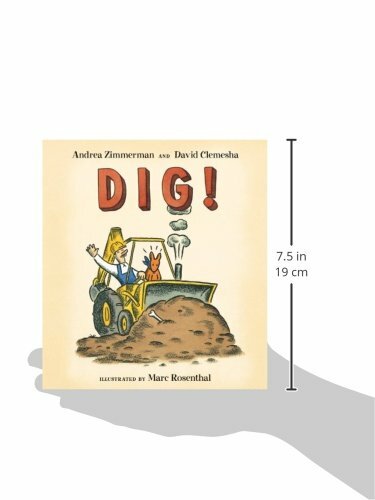 Marc Rosenthal’s colorful, nostalgic illustrations add a bold dimension to the lively text by the husband-and-wife team of Andrea Zimmerman and David Clemesha. Dig on, Mr. Rally! Dig on, Lightning!